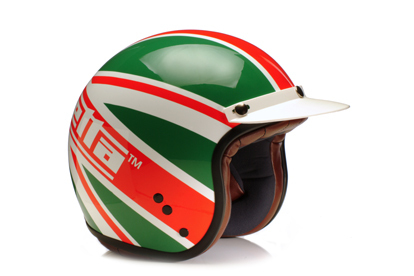 I t’s Lambretta day here at 2strokebuzz… Heritage Helmets in the UK are offering a handsome new range of vintage-inspired three-quarter Lambretta helmets in the anglo-italo-mod vein. 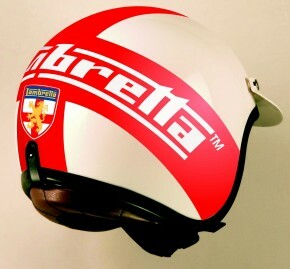 The St. George Cross version (pictured left) is our fave. 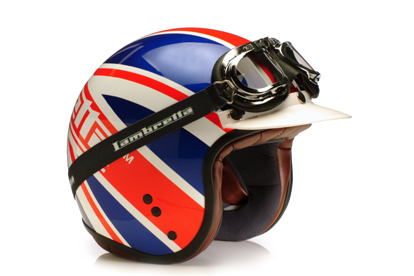 The lineup also features goggles and several more modern designs with a shorter profile (shall we call them “three-fifths helmets?”). 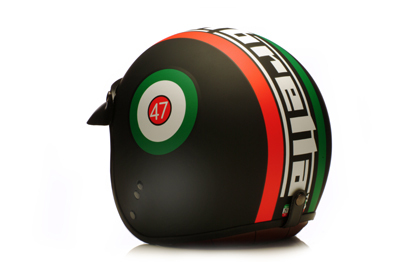 The casques are manufactured in Italy by Project. 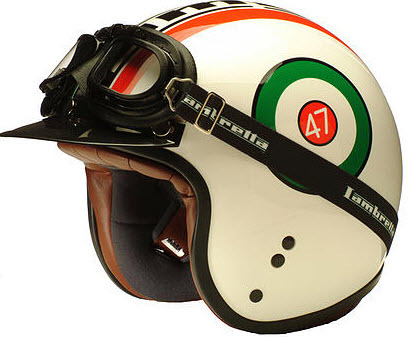 We recommend and wear full-face helmets here at 2sb, and rarely even mention anything else, but these might be irresistible to a certain subset of our readers. I of course nagged the nice PR lady about the scooters themselves, she tells us there will be an unveiling next month, which matches the timeline in our earlier story. But seriously, thank goodness for St. George in an era when British Racing Green, roundels and the Union Jack are so over done. What’s a saturated Anglophile to do? !